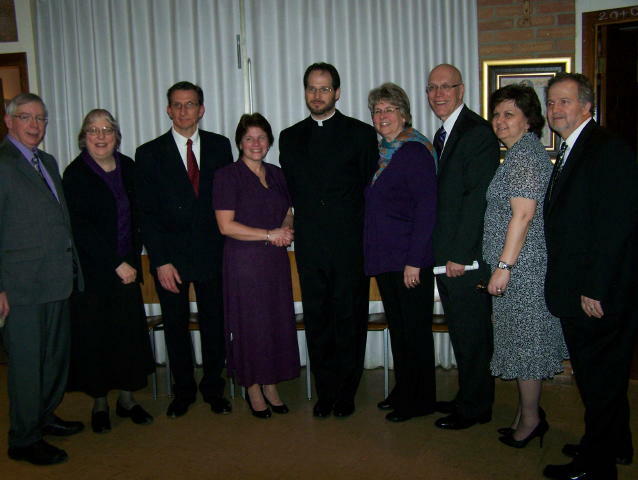 Saint Elizabeth Ann Seton Church | A Parish of the Diocese of Greensburg – A Parish of the Norwin Catholic Community – "A Pennsylvania Charitable Trust"
PLEASE NOTE: The final class on “The Passion of the Christ” has been moved to MONDAY, APRIL 15 at 6:30 pm in Immaculate Conception Church. 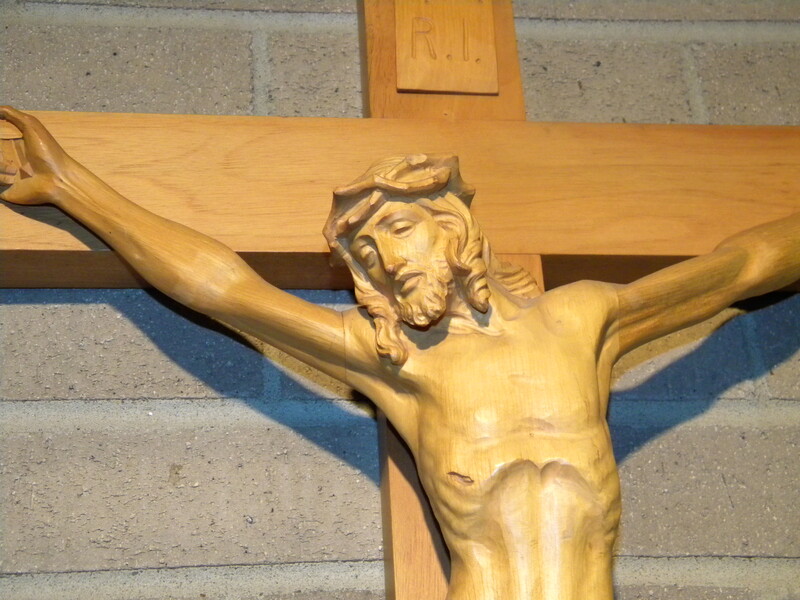 It was originally scheduled for Tues, Apr 16 following evening Mass. DO NOT MISS this final episode as we enter the holiest of weeks! PLEASE NOTE: The April 16 session has been changed to MONDAY, APRIL 15 at 6:30 pm in Immaculate Conception Church. WELCOME — Congratulations to Michael Jude Millen III as he was baptized into the faith recently. Michael will also be receiving the sacrament of Holy Eucharist for the first time on May 4th. We welcome Michael and extend our warmest wishes to him and his family. Michael is pictured below with his parents, Michael J. Millen Jr and Melissa Zarzeczny and his godparents, Dr James Millen and Dana Anderson. Thank you to all the new Altar Servers, Lectors & Eucharistic Ministers who signed up as volunteers. We are most grateful for your service to our parish family. WELCOME – The Most Reverend Edward C. Malesic, JCL, Bishop of Greensburg, has blessed us with the appointment of The Reverend Roniel Bantugan Deunas, as Parochial Vicar of the parishes of Saint Elizabeth Ann Seton Church and Immaculate Conception Church, Irwin with residence in the rectory of Immaculate Conception. Father Roniel posts his homilies onto his Facebook page. Follow him at “Roniel Duenas”. Purchasing a brick for our Mary’s Garden is a thoughtful and lasting remembrance of a loved one and to show your dedication to Saint Elizabeth Ann Seton Parish. Take a walk through the garden and you will see that there are a variety of memorial tributes. Putting your children’s or grandchildren’s names on a brick would be a very special present for the upcoming holidays. Marys garden brick order form 2018 We are hoping this will help to fill our garden with memorials. We still have over 1,000 bricks for purchase. Please use the current form in the back of church or you can obtain one from the Seton Center Parish office, and enclose the sale amount in your envelope. If there are any questions, please call Karen at 412-754-1849. Thank you to all who attended the 2018 Blessing of the Pets on October 7. For photos of the Blessing of the Pets and other events here at SEAS, check out our Saint Elizabeth Ann Seton Church Facebook page. “Saint Elizabeth Ann Seton Church”. (you can search under @seasnh to find our page. Be sure to “Like” it and share it with others. The new schedule for Memorials is now open. It runs from now until December 2019. Sign up forms are available on the counter in the back of church or at the parish office. Memorial Intentions can be made on the Sanctuary Candle, Altar Candles, and/or Altar Bread & Wine. The memorial will be listed in the bulletin. This is yet another way to remember our dearly departed loved ones. Contact Julie at the office for more info. MARION MINISTRY OF CARE – For those homebound parishioners who are unable to attend Mass due to illness, we would like to offer our Marion Ministry of the Homebound volunteers to bring the Communion Rite to them. Whether the illness is short term or long term, this ministry helps to keep them connected to your parish family. Contact Julie at the office for more information. Don’t forget to “Like” our new page and be sure to share it with your friends! 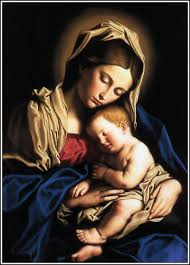 Opportunity for Prayer: The Seton Men’s Ministry would like to invite everyone to pray the rosary every morning at 8:00 am, in the church. What better way to start a weekend by spending a 1/2 hour of your time with the Lord. Prayer Chain –In need of prayer? Contact Julie at the parish office and an email will be sent to our Prayer Warriors who will add your prayer intention to their list of prayers. Looking for a ministry to help others – be a Prayer Warrior. Contact Julie to add your name to our list who receive an email. All it takes is a few minutes of your time to say a prayer. OSV Online Giving . Our parish is now using Online Giving from Our Sunday Visitor (OSV), which replaces our EFT (Electronic Funds Transfer) giving. OSV is a web-based offertory solution that allows parishioners to contribute from any location at any time and is simple to use. Online giving requires no special hardware or software. Parishioners may begin using this new system at any time. Click here for the link. Online Giving. Please consider Online giving as a way of contributing even when you are not at Mass. · A specific dollar amount. · A percentage of your estate. · A particular asset such as real estate or other valuables. You may also name our parish as a beneficiary of a retirement plan or life insurance policy. For more information or if you should have any questions on how to title the Parish in your Will or Trust please contact Julie at the Parish Office or the Catholic Foundation for the Diocese of Greensburg, 724-552-2502. Human Trafficking: Modern day slavery has become an increasing hazard, not just in international circles, but on the streets of local cities. A prayer and outreach group is forming this month to combat human trafficking. As with the drug trade, it can hide in plain sight while it corrupts young and old. Please join efforts to pray and to promote awareness and educational resources for this issue. Help us to come to the aid of those in need of hope. 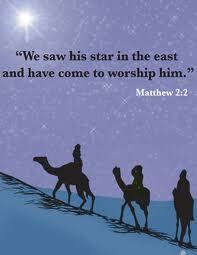 For more information, contact Mary Ellen at 724-552-2605 or writing to mpellegrino@dioceseofgreensburg.org . Have you been attending Mass here at Saint Elizabeth Ann Seton Church and would you like to officially register as a parishioner? Our registration form can be found here: Parish Information . If you have had any changes to your family such as a mailing address, email, or phone number, changes can be made on the Parish Information page. Queen of Angels School – click here to read more about what’s happening at our school, Queen of Angels. 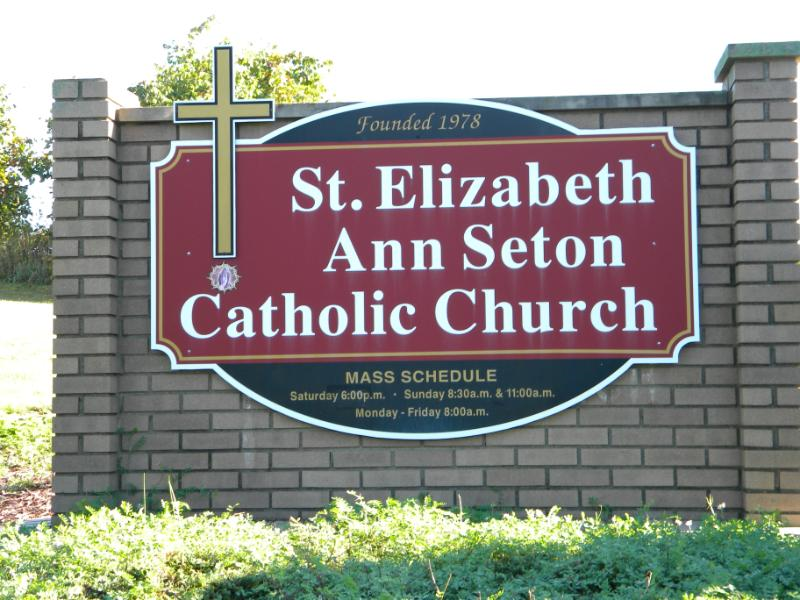 Parish Census Information: Do you attend Saint Elizabeth Ann Seton Parish, but not receive mailings or envelopes or the newsletter? have you officially registered as a parishioner? As we work to update our records, anyone over the age of 18 should be registered as an adult, even if you are still living at home with your parents. If you have an adult child who is no longer living in the area and has already registered at their new parish, please let us know. In our ongoing process of trying to update our records, we are checking on “adult” children who are listed under their parent’s information. Letters are being sent to families who have adult children listed (some of these ‘children’ may even be in their 30’s!) We ask that if you receive a letter, please return it promptly to the parish office. Many thanks! Sharing of our time & talents: Looking for a ministry that needs volunteers? Check out the newly updated Saint Elizabeth Ann Seton Parish Ministry Opportunities list and sign up to share of your time and talents in one of our ministries. Click here for the Ministry list. Contact Julie at the Parish Office to set up an appointment to get you started in a new ministry. For those of you who would like to make your donations electronically, consider our Online Giving through Our Sunday Visitory, a web-based offertory solution. For more information, see our Online Giving Page. Traveling ? Mass Times: a Ministry for traveling Catholics – find a Catholic Church wherever you travel. Don’t forget that while you are away, your home parish is still having to pay it’s bills. Sign up for EFT so that your contribution will be made even when you’re not here. Did you know the Diocese of Greensburg is now officially on Facebook and Twitter? Check it out along with our Saint Elizabeth Ann Seton Page! If you have any suspicion about the sexual abuse (or any other type of abuse) of a minor child by anyone — please contact PA Childline immediately at 1-800-932-0313. If the alleged abuser is functioning in a parish, school or diocesan position as clergy, religious, paid staff or volunteer you are also requested to contact the Bishop’s Delegate for Matters of Sexual Misconduct after you have called the Childline number and made the report. The Bishop’s Delegate may be reached at 724-837-0901, Ext. 1221.